From humble beginnings, Tyra’s singing aspirations began at the age of 10, with a father-daughter duet at her neighborhood church. She continued writing songs, singing, and playing the piano for church choir and, over the years, further developed her craft. Tyra’s aspirations for singing began at a young age witnessing her father sing in the church choir, so it was only natural that Tyra began playing the piano and singing in the choir as well. Throughout these years, Tyra discovered her ability to convert her thoughts, emotions, and feelings into poetry and song. 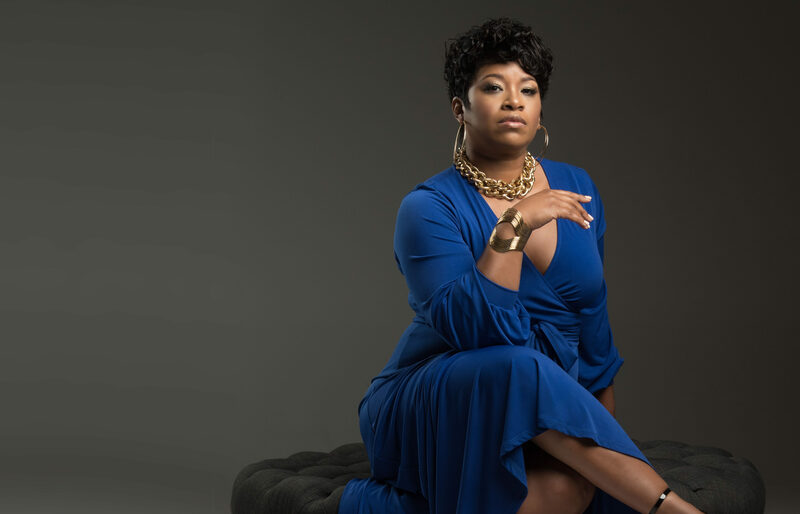 Tyra’s fusion of old school Jazz, Gospel, R&B, Blues, and Hip Hop influences produce an eclectic feel good sound. She credits her influences to the likes of Gladys Knight, Marvin Gaye, Anita Baker, Stevie Wonder, and Aretha Franklin, just to name a few. Tyra has performed at special events with the late legendary Godfather of GoGo Chuck Brown, Entertainer Marcus Johnson at Blues Alley, as well as numerous other special events and venues, and has written and published songs with Spur of the Moment and Kenny Allen.Tyra’s talent for creating custom written songs for events displays her authentic artistry, a gifting many have grown to love. Her joy, tears, laughter, deep sorrow, and life lessons fueled with mid-tempo to upbeat songs dusted with a few ballads, has accomplished Tyra’s mission of putting everyone in the groove and begin her #FeelGoodFrenzy that will make you clap your hands, bob your head, smile, laugh, and maybe even cry as your soul is enlightened. Witness the musical miracle as we follow the journey of how Tyra’s soul was set free! "Tyra your CD is exceptional! I shared it last week with one of our morning hosts, giving him the background that was shared about the event you self-produced at BB&J recently. Co-host of the Baltimore Blend, which airs from 6-9 am will surely be playing your music. We will also feature you new music Tuesdays." “Can’t Love You More - loving the arrangement your vocals shine on this track, the build is excellent into the chorus love the song and the emotion behind it. Your keyboard player is vibrant. Your vocals and the arrangement is classic soul music with a message loving the stabs which help build the full effect. Live This Way Compelling Vocals again nice background vocals another solid arrangement and great story telling lyrics, You can sure sang Tyra!"